Frankly Music offers works by Mahler, Bartok, Schubert with a big role for the clarinet. Todd Levy. Photo from MSO. 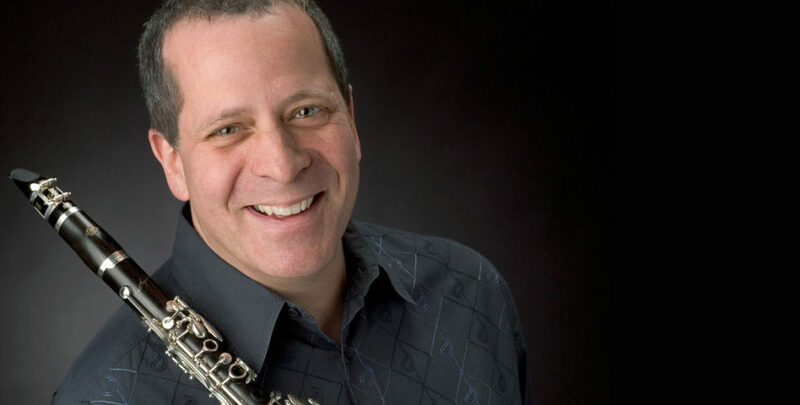 The Frankly Music series returns to St. Paul’s Episcopal Church for a third concert, The Voice of the Clarinet, featuring, as you might expect, clarinet and voice. Todd Levy, principal clarinetist for the Milwaukee Symphony and Santa Fe Opera Orchestra, will be featured in every work. Soprano Susanna Phillips, at the pinnacle of her profession, will likely steal the spotlight for a first half of vocal favorites. Phillips continues to sing in Chicago Lyric Opera and Santa Fe Opera productions and is now a regular at the Metropolitan Opera. She has appeared a number of times with the Milwaukee Symphony and has sung in Frankly Music programs in the past as well. She and Levy have worked together frequently. Brian Zeger also performs in every work. Pianist and vocal coach in programs at Julliard School and the Met, Zeger has worked frequently with Almond and with Phillips in various events in New York City. Violinist and Frankly Music artistic director Frank Almond will join Levy and Zeger for a trio to close the concert. The concert opens with a potpourri of vocal settings for soprano, clarinet and piano. To represent opera, Phillips will sing an aria from W.A. Mozart‘s La Clemenza di Tito, K. 621 – “Parto! Ma tu ben mio” in a trio arrangement. The program also features a lieder written with operatic ambitions. In Franz Schubert‘s Der Hirt auf dem Felsen (Shepherd on the Rock), D965 – op. post. 129, a shepherd longs for his sweetheart. Singing high in the hills, his voice echos across the valley. Clarinet and voice share this song, enhancing the sense of isolation and space by exchanging phrases. Misery and hope expressed in the lyrics make the work a romantic showstopper. Although the grandeur of a Mahlerian scale symphony is memorable, the journey through one of his symphonies includes tender, more introspective moments. Gustav Mahler‘s Fourth Symphony closes with a tender soprano solo singing the song of an innocent child “We enjoy heavenly pleasures ..We lead angelic lives, yet have a merry time of it.” The clarinet emerges from the massed orchestra accompaniment. Arnon Zimra reworked this moment, reduced to chamber scale for soprano, clarinet and piano for the song, Wir geniessen die himmlischen Freuden (The heavenly life). Béla Bartók was commissioned to write Contrasts for Violin, Clarinet, and Piano for Benny Goodman. Levy credits Goodman with single-handedly ensuring classical clarinet players a 20th century repertoire. Goodman, who was looking to move his career from big band to classical concerts, commissioned many works from the best composers of the time. Levy points out that the piece attempts to capture the rhythms of the Hungarian language. “Bartok tried to write out in Western notation how certain rhythms in the language went – which is almost impossible to do. People take freedoms with the music because they knew what he wanted.” Levy learned the piece from Isidore Cohen, long the violinist with the Beaux Arts Trio, who had studied with Joseph Szigeti, who in turn had collaborated with Bartok and premiered Contrasts. This concert is truly a concert of friends, with numerous past associations, who are attracted by the opportunity to play chamber music together in an intimate setting. Monday’s November 12 concert will be held at 7:00 p.m. at St. Paul’s Episcopal Church, 914 E. Knapp St. in downtown Milwaukee. Tickets may be purchased on-line for $30 or at the door for $35, general seating and $10 student. Come early for the best seats and stay late for the creatively catered Frankly Music reception after the concert. Frankly Music offers its next concert, Robert and Clara, featuring compositions by each Schumann, one of classical music’s most famous couples. on January 29 at Schwan Concert Hall at Wisconsin Lutheran College. The concert will feature Frank Almond, Ilana Setapen, Toby Appel, Alexander Hersh and Orion Weiss.